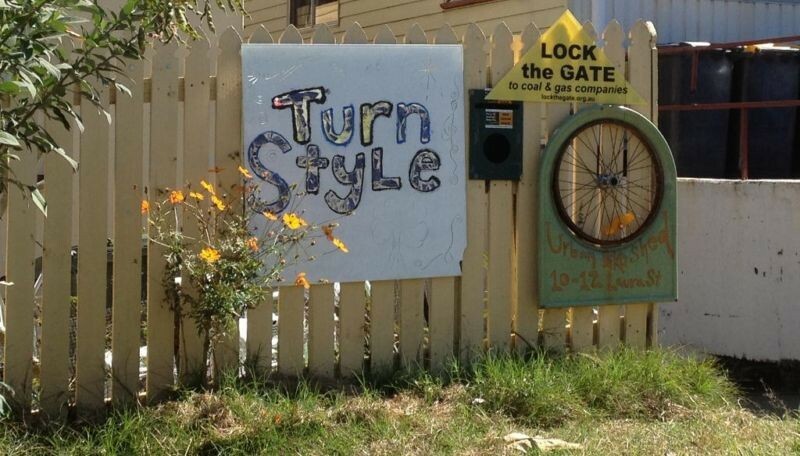 Turnstyle is located under the house at 10 Laura St, Highgate Hill, Queensland 4101 (Brisbane, Australia). Turnstyle is a short walk from the South Bank busway station and South Bank train station. For train and bus times, check Translink. For all enquiries please contact us by email at . Please include your name and contact details. If you’d like us to advertise your community event on our calendar, please make sure you let us know the event name, date, start and finish times, details, and web link or contact for more info. If you’re looking for the Bulk Buyers Food Co-operative then they can be contacted on . Turnstyle once had a weekly email list where we provided details about our own and other local events but it got a bit too time-consuming to manage. You can find out about events and post your own events on our facebook group. Turnstyle has a facebook group. Many of our events are advertised there (and the ones that aren’t can be found on our calendar). Feel free to post your own community-related things in the facebook group and generally make it a useful resource.